Logan Mancuso captured this photo of the Moon on August 16th, 2011 at Cherry Springs State Park, Coudersport, PA. 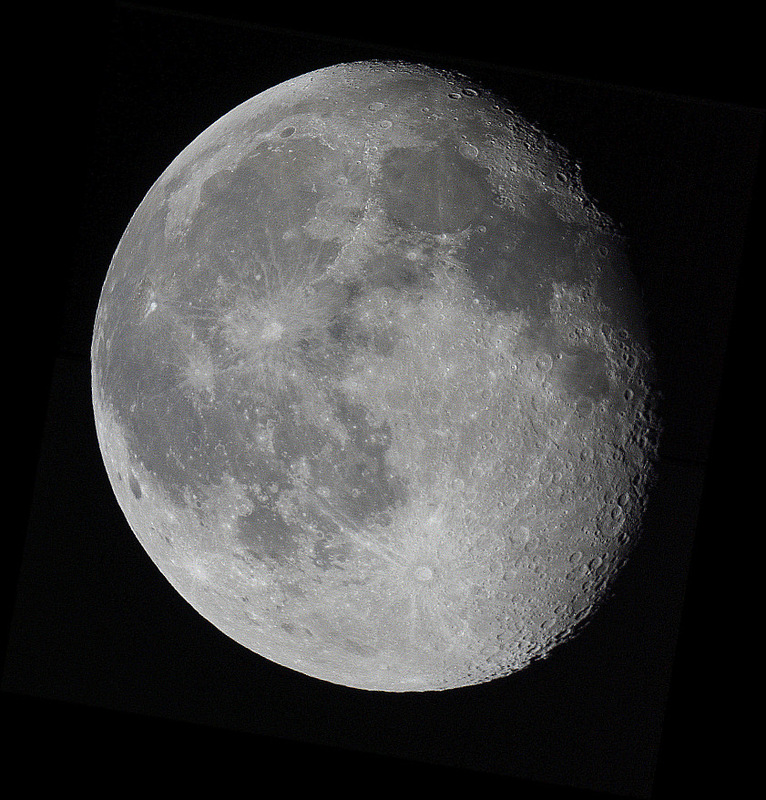 The Moon was at illuminated Fraction 0.883 – 3.5 days after full moon when imaged. Camera: Canon EOS Rebel 1000D at prime focus, F/0.0, ISO 800, 1/30 sec. Orvill Aakra captured this picture of the solar eclipse over the forest line back in 2003. It was when, according to him, he had no usable equipment so he had to improvise a lot. Orvill used a 3mp compact camera, and taped a 8×50 marine binocular to the front along with a welding glass. No tripod. Now that’s being creative! This photo of the Pleiades over lightning was taken by Jerry Littke in Hillsboro, North Dakota. Pleiades is an open star cluster located in the constellation of Taurus. This 100 million year-old star cluster is composed of hot blue and extremely luminous stars. Pleiades is also known by the names, Messier 45 and Seven Sisters. Jerry used a Nikon D300 effective 48 mm with camera specs: 10 second exposure, f3.5, ISO 1000. Ray Gilchrist captured this photo of planet Jupiter from Barrow in Furness, Cumbria on October 27, 2011. The photo also shows the two of Jupiter’s largest moons, Io and Ganymede. Ray used a Skywatcher 200p, EQ5 and a Canon350D camera. He also provided us with a few technical specs: 1/125 sec exposure, ISO 1600. Carl Larson captured this image of the North American Nebula on Fremont Peak State Park, California on April 30, 2011. But unlike the images of the North American nebula submitted to us by other astrophotographers, this one’s presented in a different perspective. “I decided to present the image rotated sideways from convention. I think it highlights those wonderful dark nebula clouds. At least they seem more obvious to me when I’m not so focused on making those ionized hydrogen clouds into a continent. Check out Carl’s astrophotography blog for more photos. Willian Souza has caught not just two, but three birds with one stone with this photo he took from Sao Paolo, Brazil. Willian captured this photo of the Crescent Moon, Pleiades and Mercury on April 26, 2009. Willian used his Canon 350D camera set at ISO 1600 + 135mm F/2.8 lens with exposure time of 1 sec. Check out Willian’s Flickr page for more astrophotos. 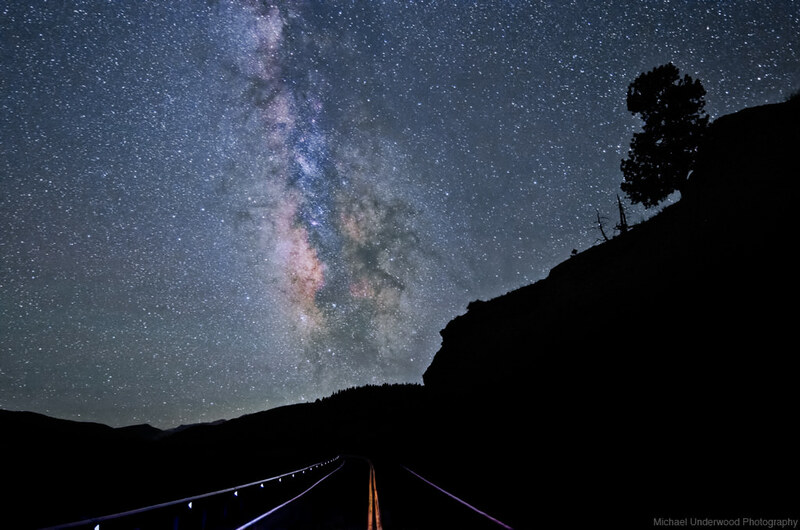 Michael Underwood captured this amazing image of the Milky Way outside of Lake City, Colorado on July 2, 2011. This is certainly a stunning view while driving! Michael used a Nikon D7000 camera with Nikon 14-24mm lens. He also provided us with a few technical details of the image. This photo of the Iridium 12 flare was captured by Riad Hamamieh on October 15, 2011 at at 7:42 PM in Beirut, Lebanon. Iridium 12 is one of the 66 active Iridium communication satellites orbiting the Earth. It was launched on June 18, 1997. Riad used a Canon Powershot SX210 IS camera with CHDK. Camera is set at 32 sec exposure, f3.5 and ISO 400. It was cropped and adjusted using Photoshop CS3. For more photos from Riad, here’s a link to his Flickr page.